Bunions are readily apparent, you can see the prominence at the base of the big toe or side of the foot. 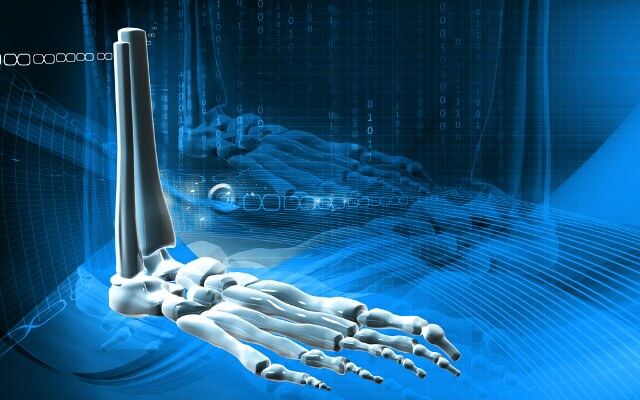 However, to fully evaluate your condition, the Podiatrist may arrange for x-rays to be taken to determine the degree of the deformity and assess the changes that have occurred. Because bunions are progressive, they don’t go away, and will usually get worse over time. But not all cases are alike, some bunions progress more rapidly than others. There is no clear-cut way to predict how fast a bunion will get worse. The severity of the bunion and the symptoms you have will help determine what treatment is recommended for you. Growing pains are very common among physically active children ages 9 to 14. These growing pains or bone disorders are only temporary and have no long-term effects. Sever’s disease, also known as calcaneal apophysitis, is a painful swelling and inflammation of the growth plate in the heel. Treatment of Sever’s disease will depend upon the severity of the condition. Parents can assist with the treatment of Sever’s disease by making sure their children reduce physical activity until some of the pain subsides. Losing weight can also help reduce pressure on the heel. It is important to consult a doctor if the pain persists. A physician may recommend flexibility exercises, custom shoe inserts, or anti-inflammatory medication. In some cases, a splint or cast may be necessary to immobilize the foot and give it a chance to heal. Most cases of Sever’s disease will resolve by the age of 16, when growing subsides. Fortunately, there are no known long-term complications associated with the disease. We all experience sore arches now and again after a long hike, standing in a long line or walking from one end to the other of a big shopping mall. It’s normal for feet to get tired out sometimes, and there’s usually no need to worry unless the pain persists. If you’re turning to the web because it’s dawning on you that your arches are sore several days a week, or maybe even every day, you’re doing a smart thing. Chronic pain in the arches can actually be a symptom of a significant underlying condition called Plantar Fasciitis that requires attention and treatment to prevent it from worsening. This article will quickly point out what you need to know about arch pain and Plantar Fasciitis and provide you with resources for learning how to recover. When we have foot pain, it isn’t always easy to pinpoint the source because we can’t visualize the structure of all the bones, muscles, and tendons on the inside. The posterior tibial tendon plays an important supportive role within the structure of the foot. 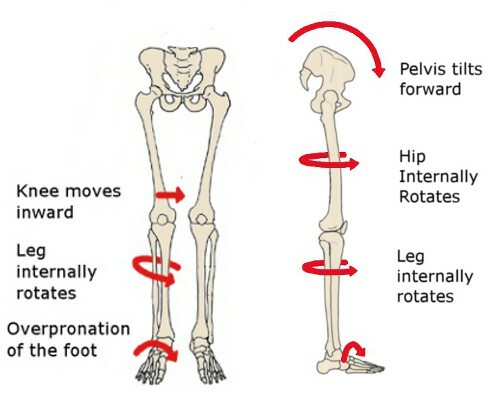 It attaches to your calf muscle and then comes down along the inside of your ankle, connecting to the bones inside your foot at the other side. This tendon’s main function is to hold up your arch and support your foot during each and every movement. Every step, run, walk, or jump is made possible with the support from this crucial tendon. While it is designed to perform such an important role, it is vulnerable to stress and injury. A tear during a traumatic injury or stress from overuse can injure the tissues within the tendon. This kind of injury is referred to as posterior tibial tendon dysfunction (PTTD). A really hard fall during a sports game or exposure to a repetitive motion, such as the impact on feet during soccer, tennis, football or basketball, can cause an injury. Flat foot and flat feet in adults can exacerbate this condition. The tendon can experience small tears and become inflamed. If the inflammation is allowed to continue and worsen over time, it will weaken further and could rupture completely. A common condition that affects people of all ages. Symptoms include heel pain that is worse upon arising in the morning or standing after prolonged sitting. The pain is caused by inflammation of the plantar fascia, the ligament that connects the heel bone to the toes. Inappropriate footwear is the No. 1 cause of plantar fasciosis. Footwear that possesses toe spring and a tapered toe box holds your big toe in an adducted and extended position. In this position, your abductor hallucis muscle-the muscle responsible for moving your big toe away from your foot’s midline-pulls on a foot structure called the flexor retinaculum and may restrict blood flow through your posterior tibial artery, the vessel that carries blood to the bottom of your foot. Tissues in the sole of your feet begin to degenerate as blood supply to this area is decreased. Other recognized causes of or contributors to this health problem include the following, calf muscle shortening, plantar fascia contracture, Obesity, rheumatoid arthritis, reactive arthritis, Psoriatic arthritis, Corticosteroid injections. Plantar fasciitis treatment can be conservative (non-surgical) or invasive (surgical). Among the non-surgical ways to manage plantar fasciitis involves stretching and icing exercises. A night splint which help stretch the Achilles tendon and plantar fascia overnight, so that they can be more easily stretched during the morning. Orthotics that can be custom-made for the feet can also distribute tension on the feet more consistently. Corticosteroid is injected into the affected area to relieve pain and decrease inflammation. Doctors may also use extracorporeal shockwave therapy before considering plantar fasciitis surgery. During the therapy, sound waves are used to stimulate the affected area and eventually heal it. Physical therapy incorporation, deep massage stretching, and other modalities can at times be a helpful adjunct treatment. Surgery for plantar fasciitis is only considered when all other conservative treatments have failed.